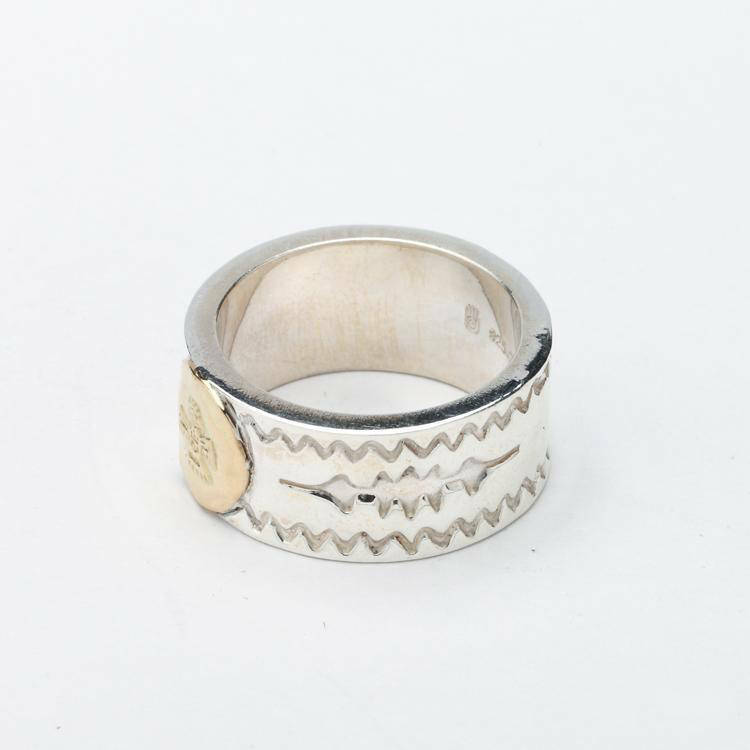 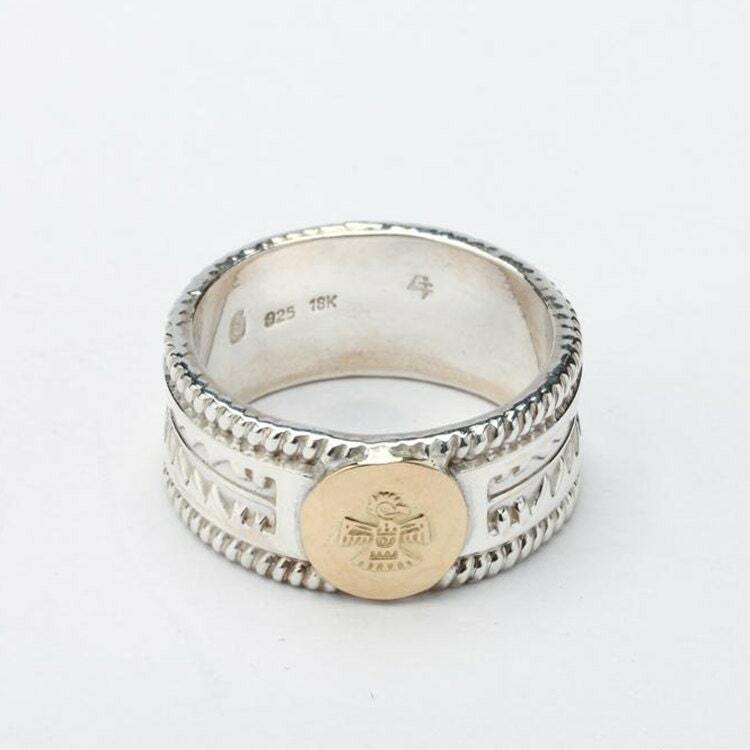 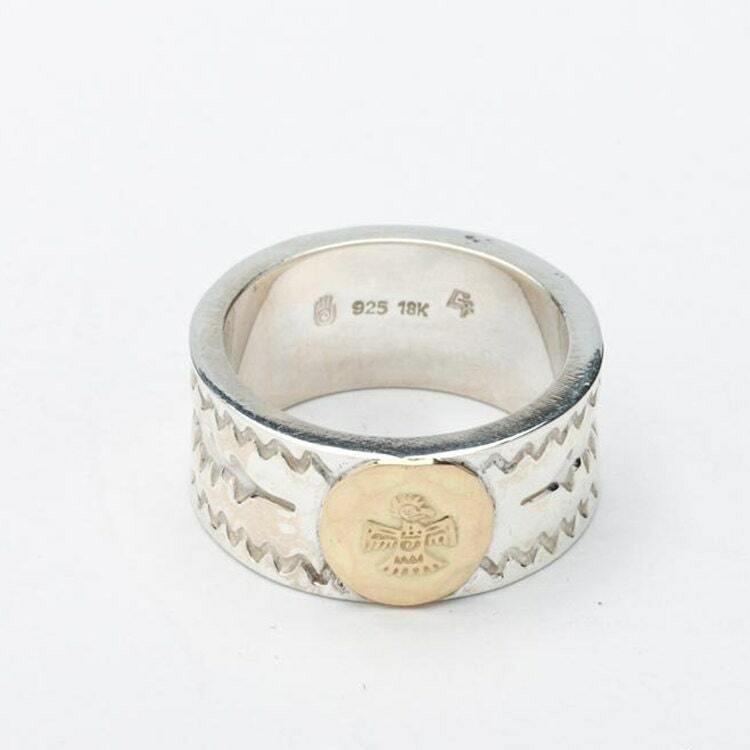 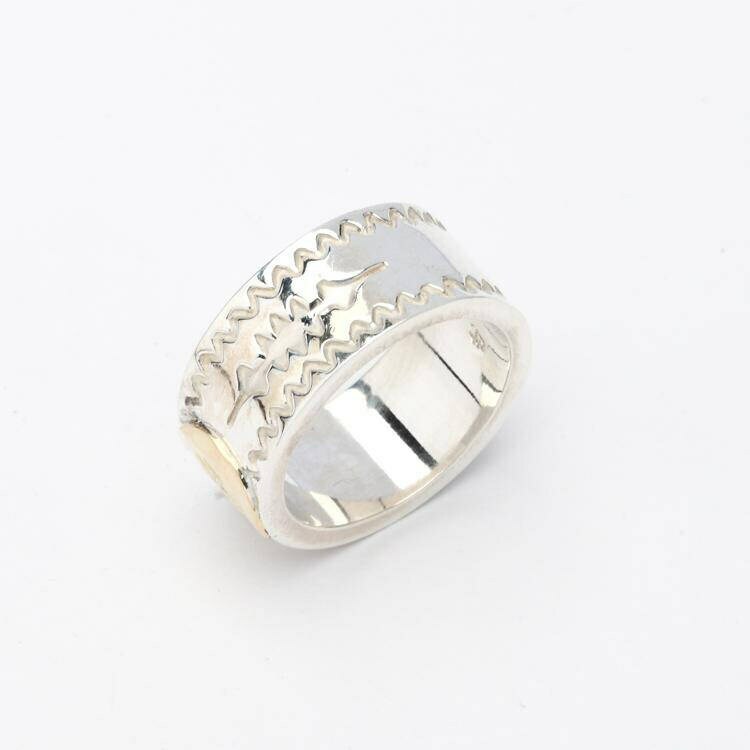 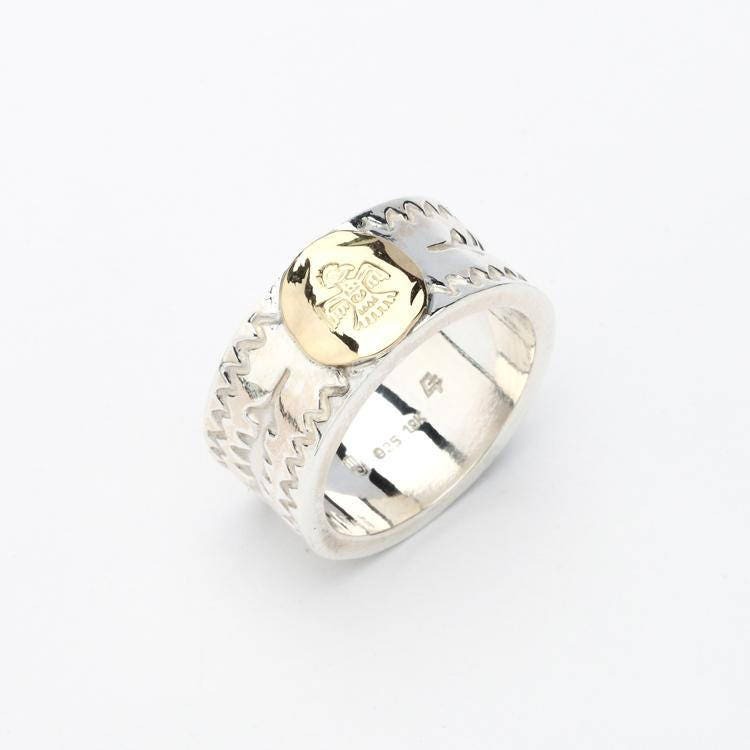 The Thunderbird ring is inspired by Native American art and culture - the Thunderbird represents an important symbol in the Native tradition. 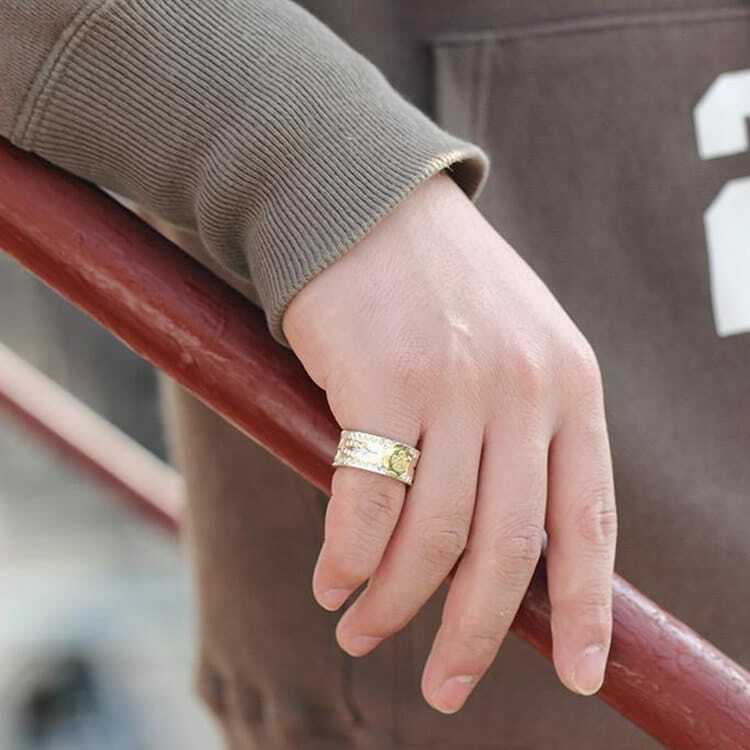 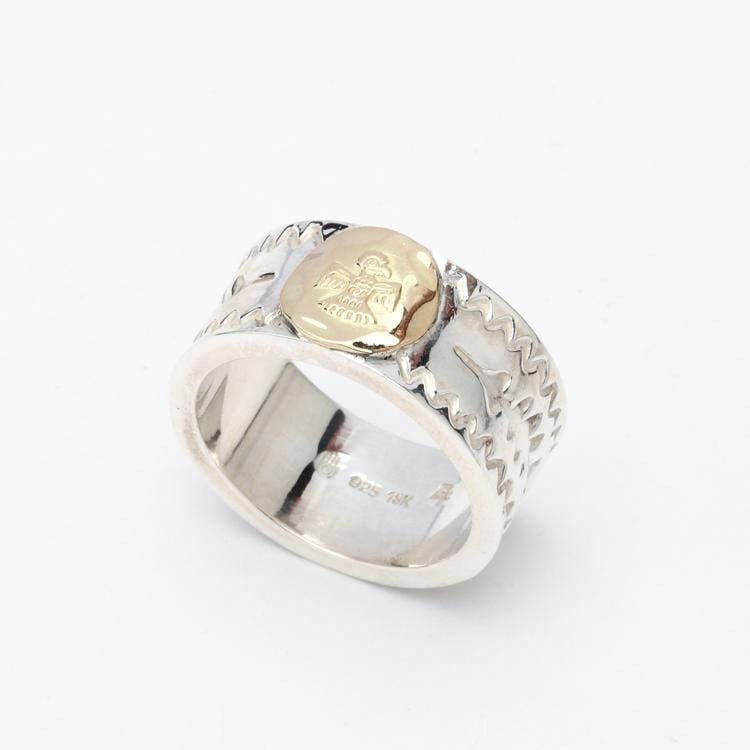 The gold bird charm is crafted in 18K gold, and sits on the top of an engraved silver band. 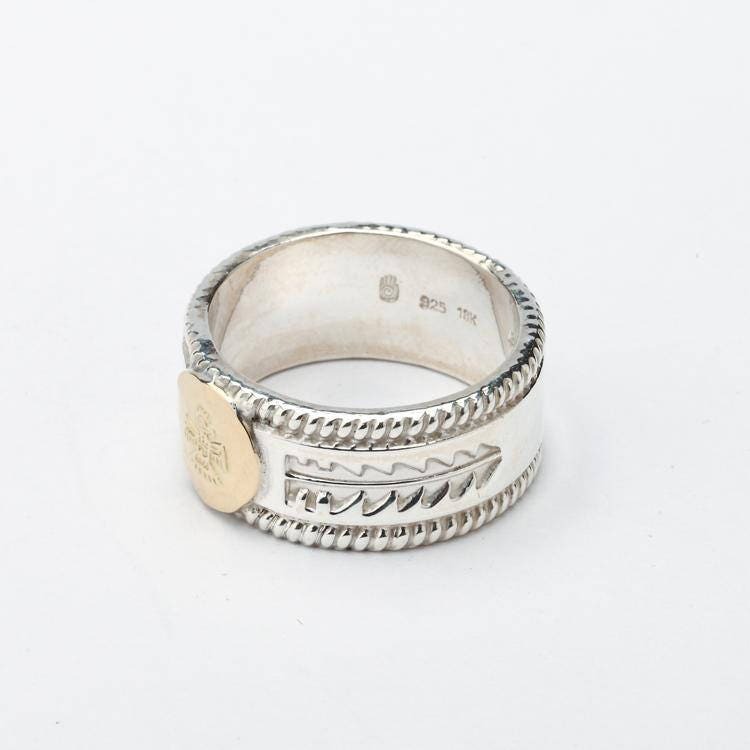 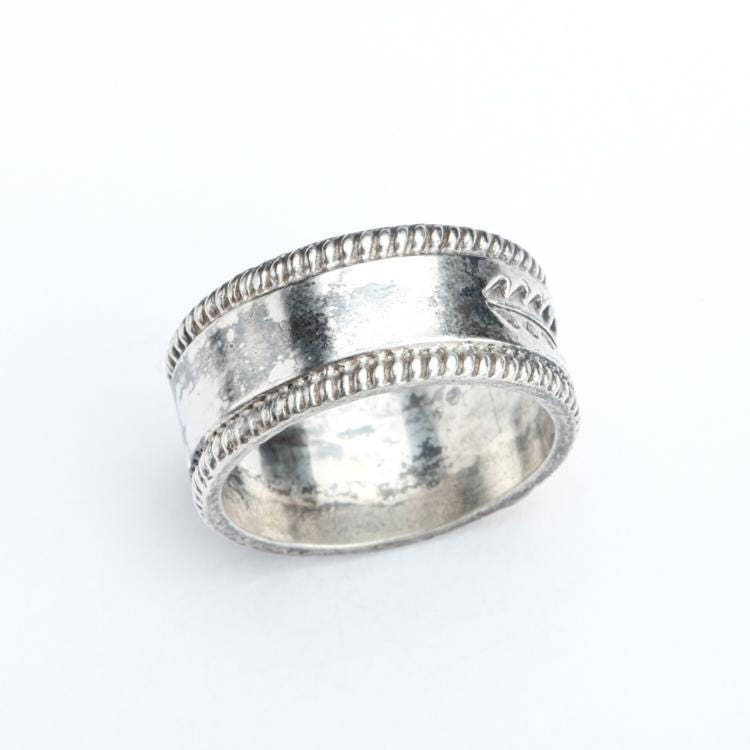 Available in two different engraved patterns - one with a rope texture edge crafted from a Wire Wrapping, and the other with a plain edge and sawtooth-like Gear Pattern.